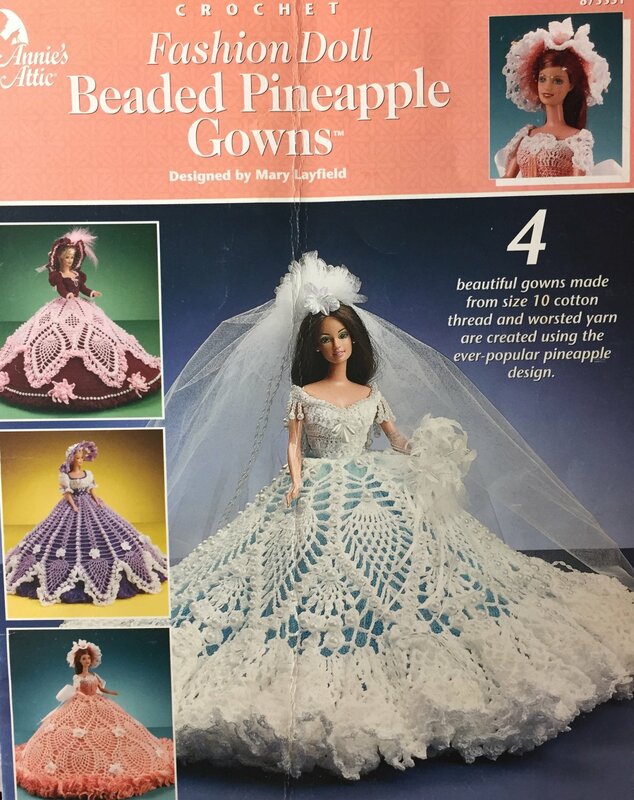 This is a crochet pattern for making a gown with a pineapple design for a fashion doll. It was designed by Mary Layfielld. This is in used condition.